Big hair, big oil, cactus, cowboys, that distinctive twang... Bikes aren’t the first thing you think of when you hear “Texas,” but perhaps one day they will be. Young people are the lifeblood of sport, and on a more fundamental and sweeping level, of change. 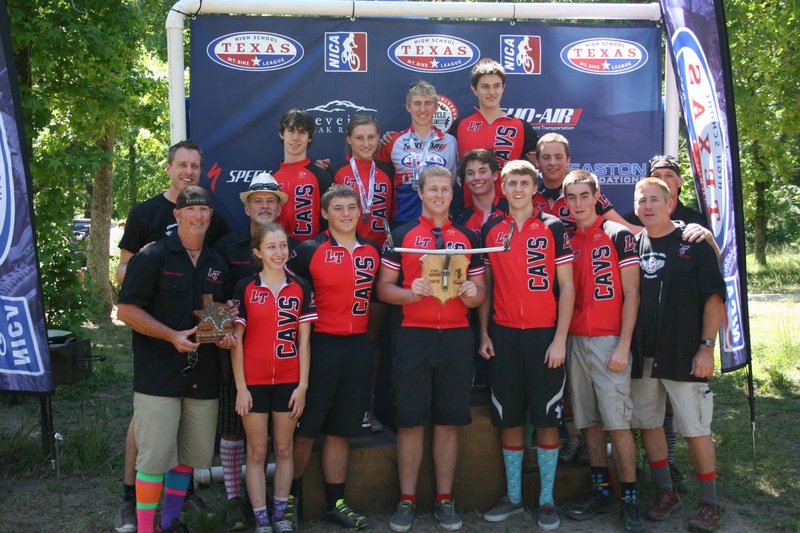 The handful of Texas cyclists and bike shops that set the wheels in motion for a program for high school students to learn about and compete in mountain biking went a long way toward accomplishing something for the cycling masses at large: a rosy future. In spring 2012, the Texas High School Mountain Bike League became the fourth active high school mountain biking league in the National Interscholastic Cycling Association (NICA), where the concept first took root in Northern California in 2001. The NORCAL League now averages around 700 student athletes per race. The Texas league, in its first year of operation from 2012 to 2013, experienced a 40% growth overall and a 400% growth in female members, with an average of 25 girls and 75 boys competing at state races last school year. 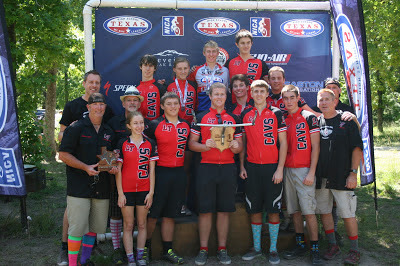 The mission statement of the High School Mountain Bike League reads, “Building strong minds, strong bodies and strong character in Texas youth.” Executive director Vance McMurry, one of the driving forces behind the Texas program, says mountain biking was simply the means the founders of the league chose to accomplish that mission—the league is first and foremost a youth development organization. Along with learning how to bunny-hop an obstacle and change a flat tire, students learn life skills, social skills, self-sufficiency, and what it’s like to be part of a team in which everyone contributes. Race weekends, which take place four or five times during the school year, have a community feel. Organizers lay out the course on Friday, and students and their families pre-ride the course together on Saturday. They camp out on-site that night and wake up the following morning to race. Everyone seems to know everyone else. Typically, most high school teams practice twice a week and once on the weekend. Student athletes race in three categories: varsity, JV, and freshman/sophomore, with separate divisions for girls and boys. All gender and experience-based categories start separately. The course design is usually a loop of four to six miles, and race organizers vary difficulty by category with the number of laps. Students come from many different backgrounds and ability levels. Top finishers are rewarded with leaders’ jerseys, medals, and call ups to the line, but a rider doesn’t have to make the podium to be recognized or contribute to a team’s overall placement. Each rider who participates in a race earns points for his or her team. Vance says race organizers and student athletes are supportive of every student who crosses the finish line, from the first to the last. Teams must have girls on their teams to score at a race, which encourages the recruitment of female members. 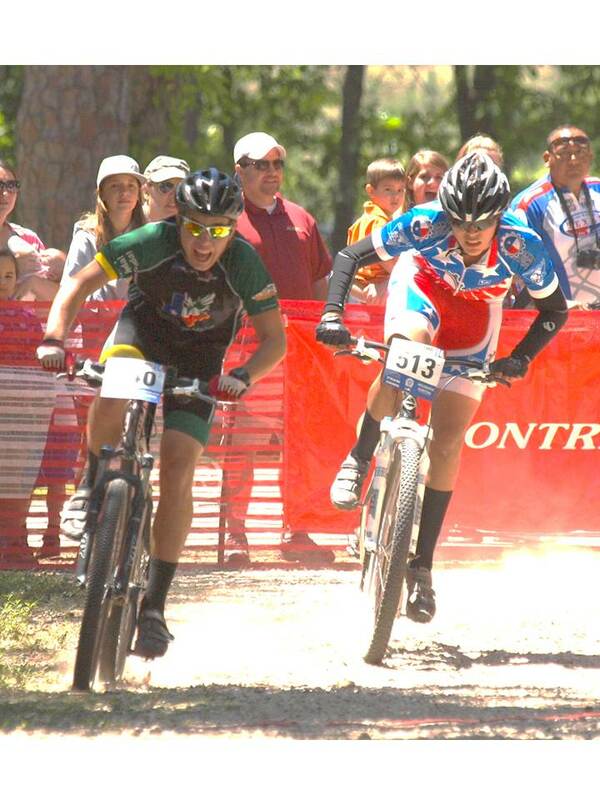 Outside of the high school league, very few teenage girls compete in mountain biking. TMBRA, the Texas Mountain Bike Racing Association, tends to average two to three female competitors on a high school level. 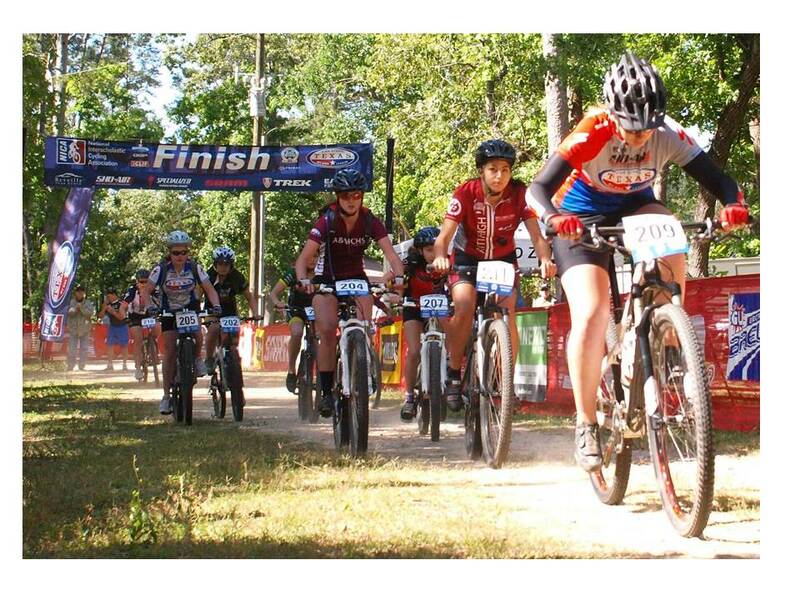 Last year, 25 girls competed regularly in the Texas High School Mountain Bike League race series. This August, the fall league will start back up, but at the moment, many of the students in the Texas league are anxiously awaiting the 2013 Ft. Lewis College Summer Camp. The camp, which runs from July 29 to August 3, combines trail riding with skill sessions and talks from guest speakers like pro riders, Olympians, and pro bike mechanics. Students eat meals together and stay in the Ft. Lewis College dorms. Twenty-four Texas students are scheduled to attend. 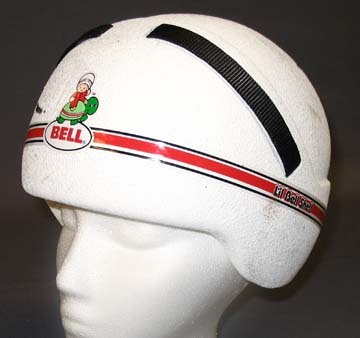 Ever wondered what it would have been like to get started in cycling a little earlier, how far you could have taken it? It’s nice to think that the next generation of Texas cyclists won’t have to leave it up to the imagination. 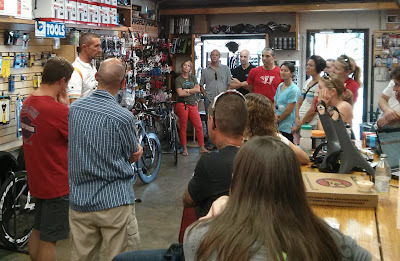 Volunteer for races or committees – Email vance@texasmtb.org for more information about volunteer positions. Start a team - Teams can be any size. Administrators, teachers, parents, students and/or community members can start a cycling club at their local high school (public or private). Cycling experience is not necessary. Once you have decided to create a team, the League will provide educational resources and information on the NICA Coaches License Program. Donate money – Use the PayPal link on the league website or make a PayPal payment via email to Vance McMurry at vance@texasmtb.org. Mail checks to 1811 Real Catorce, Austin, TX 78746. Triathlon might not be particularly high profile in the U.S., but in many ways, the lack of recognition and the size and intimacy of the tri community make the professional side of the sport more meaningful for the everyman. It’s a sport where you can still walk up and shake Dave Scott’s hand or, through some random event or lucky mutual acquaintance, go on a training ride with Chrissie Wellington or Andy Potts. You can still ask someone like Matty Reed for an interview. It’s a little intimidating to sit down to talk with one of the top pros in the U.S.—though sitting is less intimidating than standing in Matty’s case, since he’s 6-foot-5. 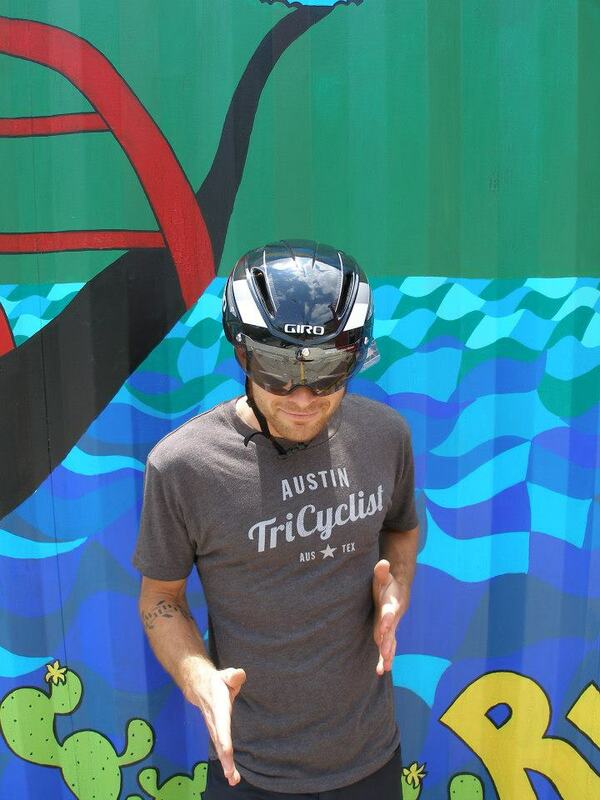 Matty was in Austin over Memorial Day weekend for the Capital of Texas Triathlon, also making an appearance on Saturday at Austin Tri-Cyclist to talk with local athletes about Fuji’s new time trial bike, the Norcom Straight. For him, Captex was a test, a way to tell whether the speedwork he’s been doing in training has paid off and what type of race he wants to focus on in coming months. 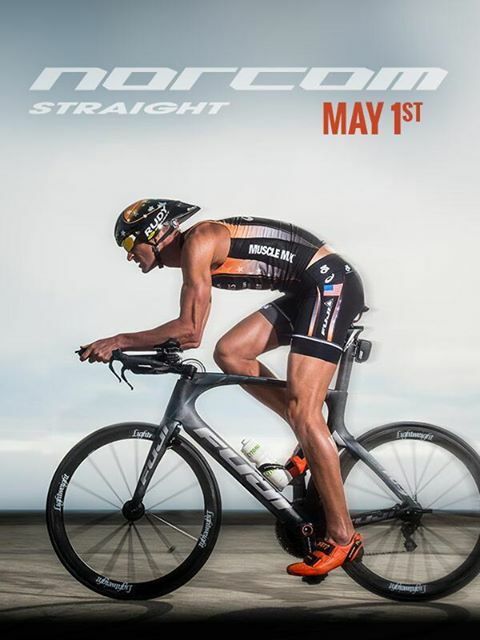 The 2013 World Championship 70.3 in Las Vegas is definitely on his radar, he says, and he hopes to qualify for Kona at the IRONMAN North American Championship Mont-Tremblant in August. Born in New Zealand, Matty spent most of his childhood in Australia. Matty’s long history in triathlon—22 years to date—began with his first race on his 15th birthday. From that point on, he says, he knew triathlon was the career he wanted to pursue, and after high school, he began racing professionally. He became a U.S. citizen in 2007, and currently lives in Boulder, Colorado, with his wife, Kelly, a former pro triathete and PR and marketing guru, and their three children. After this past year’s brutal and lingering winter in Boulder, the Reed family may be moving soon, possibly to northern California. Focusing primarily on ITU races for most of his career, Matty switched gears after the Beijing Olympics in 2008 to dabble in Olympic-distance, 70.3, and Iron-distance races. Though he’s been successful with both short course and long course in recent years, he admits he’s struggling to find the right balance and may have to decide on a particular focus soon. Non-drafting races offer an athlete like Matty, a strong cyclist, a number of advantages compared to ITU. From start to finish, a draft-legal race is a battle for position, he says, and one wrong move can ruin an entire day. The contenders tend to stay together on the bike leg. 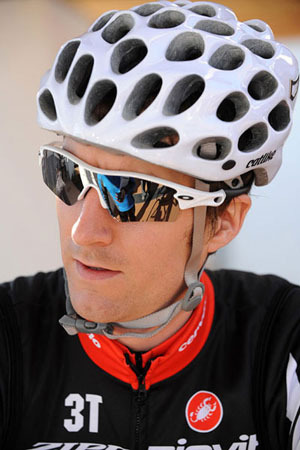 Matty says he prefers the non-drafting format because it allows him to do his own kind of race. 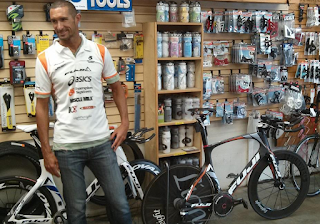 An outlier among professional triathletes, Matty is taller than most people would consider optimal for the sport. But he doesn’t see it as a limitation, pointing to his role model, five-time world champion Simon Lessing, who is 6-foot-3. Staying lean is more important as a tall athlete, Matty says, but at a certain weight, the extra height provides an edge on the competition. “I’ve always believed that triathlon is a strength sport, so being tall is not a disadvantage,” he says. Twenty-two years is a long time to be in any career, but perhaps especially that of a professional triathlete, a person who makes a living from a sport that started as recently as the 1970s. Matty has seen change sweep through the sport, from the advent and development of organizations like the WTC and Rev 3 to a year-round race calendar and increasingly high-tech bikes and equipment. “I’ve seen the money come in waves,” he says. “You’ll have a few years of really good money, and now we’re on the decline for professionals, I feel. I am proud of my long standing contracts with my sponsors.” The economy isn’t as strong as it was in previous years, and sponsorship dollars are harder to come by for many athletes. Unlike in many other professional sports, corporate sponsors outside of the triathlon industry are still very rare, narrowing the sources and scope of sponsorship. Matty says that what has changed the most for him physically over the years is his ability to recover. Though perhaps also attributable to racing short course versus long, he was able to train much harder when he was younger, he says. The most important goal of his career, Matty says, has been consistency. As a younger athlete, he would win a race one weekend and place 40th the next. Though last year wasn’t as successful as he’d hoped, from 2008 to 2011 he felt he’d accomplished his goal of getting on the podium at nearly every race. 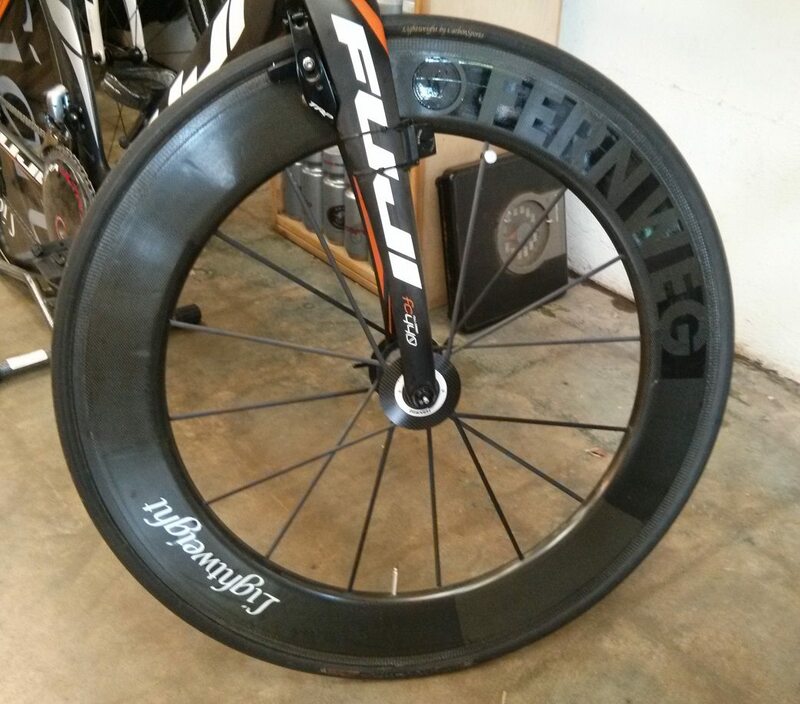 Though many would say that Matty has “made it” as a professional triathlete, and he has a number of top sponsors, including Fuji, Rudy Project, Asics, Muscle Milk, and Champion System, an athlete never truly receives tenure. To keep his relationship with sponsors, he has to race well, and to earn bonus money, he has to win. Matty’s three children—two, five, and seven years old—add another element to his training. “It’s definitely tough, because I like to spend a lot of time with my kids, and I like to play with my kids,” he says. “I hate the fact that I’m out doing a long ride when my kids are at home and I should be playing with them, but I know it’s got to be done sometimes, and a lot of times I schedule my training around what they do, like their school.” With Ironman training, however, it’s nearly impossible to get everything done in time to be finished when they come home. “But it’s my job,” he says, “and I’ve got make the most of it because I’ve only got probably four good racing years left in the sport.” When he retires from competition, Matty sees himself working for a sponsor and hosting triathlon camps, but for now, he’s putting everything into his training. 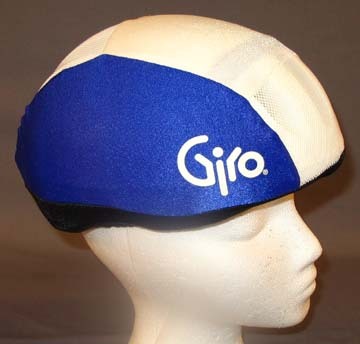 Serious triathletes—professionals and elite age groupers alike—are among the most driven and focused individuals in the world, taking every aspect of training and racing to an extreme level. They do have their playful side, though. But Matty says the more interesting story is the one Chris McCormack told Matty’s future wife at their first meeting. Macca, a training partner at the time, introduced Matty to Kelly at a dinner in San Diego. As Matty was walking up, Kelly asked Macca about the meaning of the nickname. He told her, “Ah, he’s got really big privates. They go ‘boom boom.’” Five seconds later, a little flustered, Kelly shook Matty’s hand. Matty Reed may be one of the world’s top endurance athletes, but he’s no prima donna. At ATC's meet-and-greet with Austin athletes and fans, he seemed friendly and down to earth, happy to answer questions and listen in turn. Pro triathletes are often a nice reminder that people with superhuman athletic abilities can still be human. Matty says that in his own training, recovery sessions have been key. Rest days add up—one day a week becomes four days a month, which is around 50 days a year. “That’s nearly two months you’ve taken off in a year from just taking one day off a week, so I don’t believe in taking a day off a week,” he says. “I believe in recovery sessions.” A coach can also help a lot, he says, primarily with doing the workouts that you don’t want to do. For age groupers working full-time jobs, he says quality is the most important aspect of training. “You only have a certain amount of time to get sessions in, so you don’t want to waste your time doing easy sessions,” he says. “Whenever you get the chance to get out there, you make the most of it. You get your heart rate up and train hard.” He says joining a masters’ group often helps, providing companionship and additional motivation. 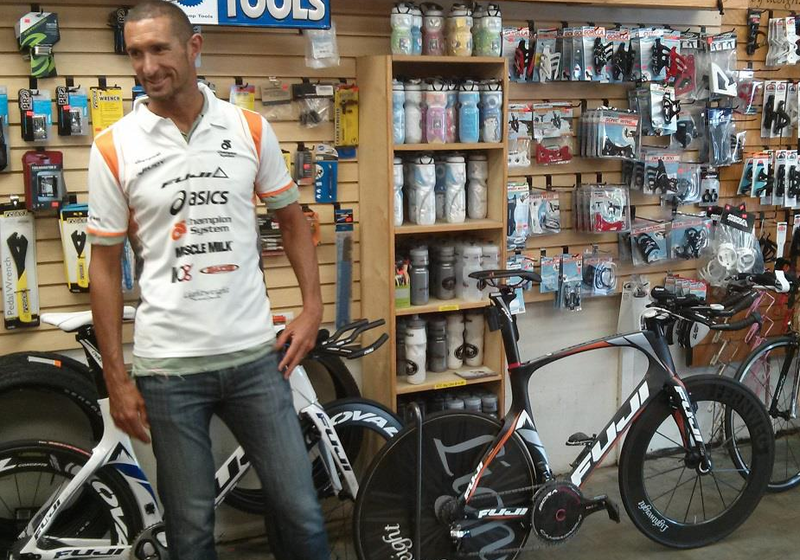 Since early May, Matty has been on Fuji’s newly minted, top-of-the-line time trial bike, the Norcom Straight. He says the bike’s slogan—“Fit comes first”—says it all. Previously, he rode Fuji’s D-6. “I was kind of sad to see that go, but also excited for the new one because I knew it had better technology and was more aerodynamic and stiffer than the D6,” he says. He said he noticed the improvement in fit and stiffness immediately. 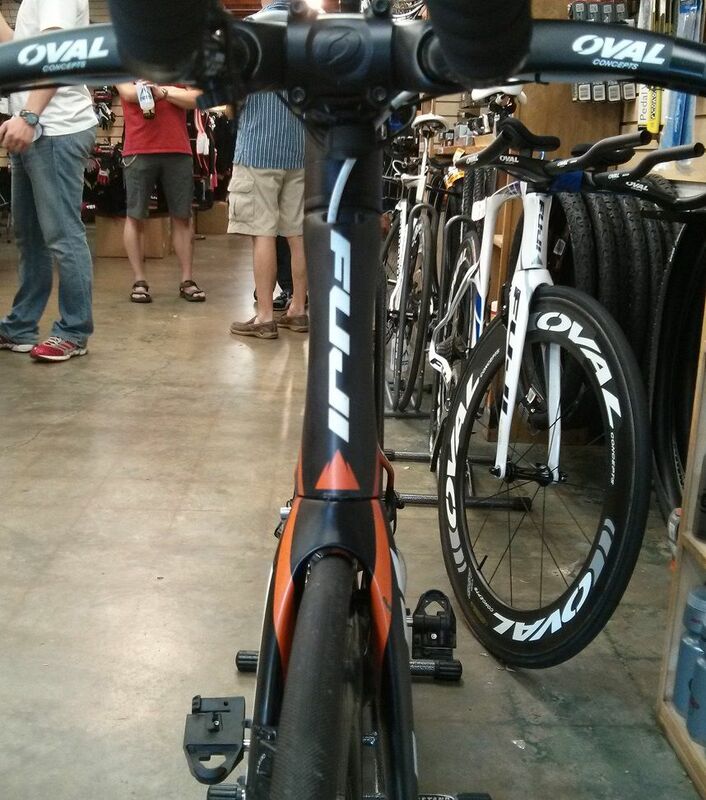 Many of the top TT bikes currently on the market have custom, non-standard front ends with limited adjustability. The Norcom Straight solves the problem of combining an integrated, aerodynamic front end with greater flexibility in seat height, stack, and reach. 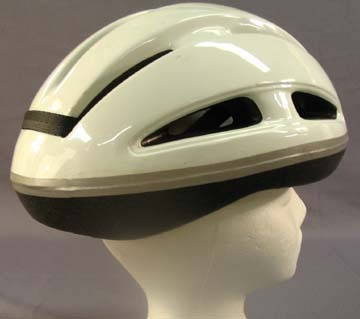 Any regular stem can be used, but the Norcom Straight also offers a wide range of custom stem sizes for a fully integrated, aerodynamic stem setup, with a total of 24 possible positions. The bike comes standard with the UCI-compliant Oval Concepts 960 aerobar, but you’re free to use any aerobar you want. Wind-tunnel designed and tested, the Norcom Straight is 18% faster across the most common yaw angles than its predecessor, the D-6. The bike supports fully internal mechanical or electric cable routing, and other features include integrated aerodynamic brakes, electric shifting battery mounts on the seat tube, and horizontally adjustable vertical dropouts that make wheel changes a piece of cake. Five frame sizes are available: S (49cm), M (51cm), M/L (53cm), L (55cm), and XL (57cm). Matty, of course, rides the XL. The Electronic Power Shift is Campy’s latest production electronic gruppo, 11-speed and similar to the Durace Di2 in many of its features. 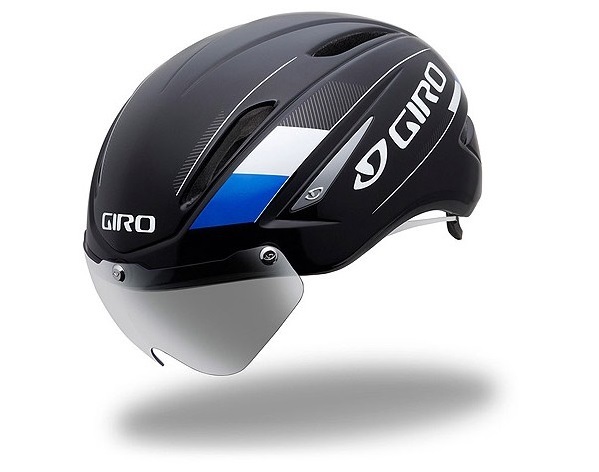 The Super Record model is the lightest electronic gruppo currently on the market. Top dollar, these are the lightest deep aero wheels in the world. This ultra lightweight saddle looks like something out of Star Trek, but its cutout and unique shape make it popular for TT positions. 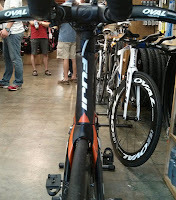 These UCI-legal aerobars come standard on the Norcom Straight. Campy’s attractive and aerodynamic crankset, 55T. Made by a company in New Zealand, these lesser-known pedals are very adjustable; riders can easily adjust the length of the axle and the float. There's nothing comfortable about a triathlon. 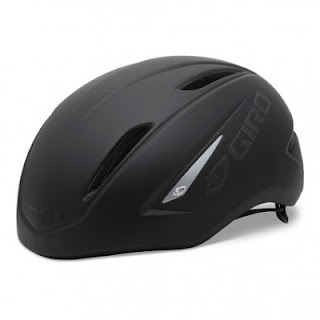 Wet suits provide you with a nice little neck rub, goggles leave attractive raccoon eyes, your cycling kit gives wedgies that bring back elementary school memories, and saddle – well, you get where I’m going, and that’s just the attire. It’s a repeat cycle with constant training and (hopefully) racing. Most aspects of endurance sports aren't comfortable, but that doesn't mean they aren't worth the occasional awkwardness. As triathletes, we power through because in the end, we’re all doing what we love and we’re still going to get up the next day to do it again. The more comfortable you get with the uncomfortable, the better prepared you’ll be on race day. One of the best ways to step outside your comfort zone is to train with a group. Training with a group will keep you accountable, force you to try new routes, sets, or speeds, provide the opportunity to meet other people who share this interest, and ultimately lead to faster race times. Plus it's a lot harder to ease up when others around you are pushing you. If you consistently challenge yourself and others, you will see improvement. I remember getting little to no sleep the night before my first Longhorn Aquatics Masters practice. I had been swimming for only a few months, couldn't do a flip turn, and was sure that I would be the slowest one there. Much to my relief, there was a wide range of abilities among the squad. Not only was everyone friendly, but many went out of their way to show me the ropes. I'm confident that had I not joined Longhorn Aquatics, I would still be doing open turns, never have entered a swim race, and improved more slowly. Swim times in the pool that were once "all out" efforts have become slower than many of my steady set paces that I swim today. While I'm by no means the fastest person in the pool, I've seen major improvement since I joined and now have a group of amazing friends who keep me motivated throughout each practice. Biking with a group has led to similar improvements. I had read about the ATC Ride for months, but I was always too timid to give it a try. I feared I would be bumped to the back of the group and left pedaling in circles in the Hill Country. During my first ride, it went pretty much how I expected. I was dropped by the front of the group like a bad habit, but luckily there were others around me to show me the way, and everyone regrouped a few miles later. Since then, and many rides later, I've learned to hang on to that front group and have met some great people along the way. Joining a group ride, run, or swim can be intimidating at first, but don’t forget that everyone there has been in your shoes before. Showing up is the first step, and you’re only a newbie the first time. So I encourage you to take a step outside your comfort zone and attend one of the many group rides, runs, and swims that Austin has to offer. Come on out to the ATC Saturday Ride. You won't be the only one experiencing some discomfort out there, whether you’re new to the sport, have on a kit that isn't quite stretched out yet, or maybe you’re new to town. I can promise it's a good discomfort that you’ll soon start to look forward to. Ben Munguia is an endurance sports enthusiast who has been training for and participating in triathlons since 2009. A Dallas native, Ben now lives in Austin with his wife Lauren and vizsla Tucker. In his free time, you 'll find him running Lady Bird Lake, biking his favorite Lost Creek/Cuernavaca loop, or swimming in local pools.